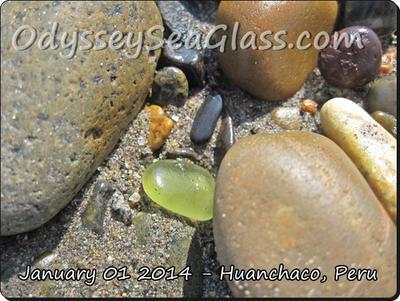 Sea Glass Catch of the Day - Citron kind of? What a nice day to start the years off! 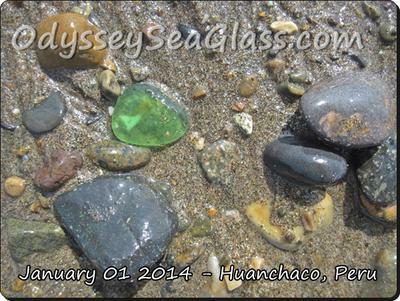 There was a great spread of pebbles and, thus, good chance of finding sea glass. I, David, was having neck and back problems though. 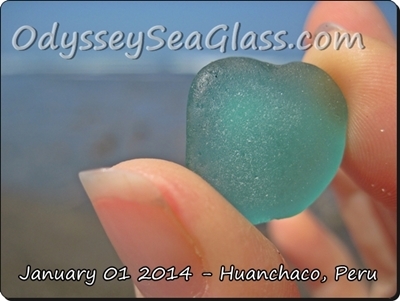 Since I find the sea glass best when I am slightly bent over, today was not a good day for me. 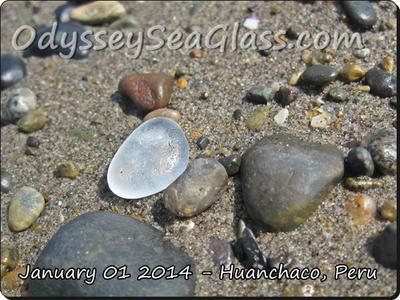 Lin, on the other hand, found really nice pieces for the 2nd day in a row, and I was able to photo them. 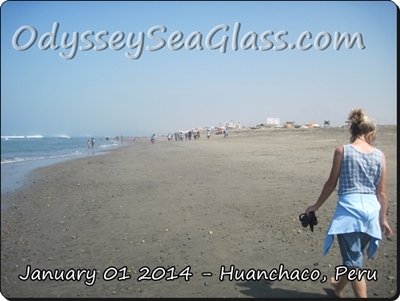 By the way, this camera takes fantastic photos on the beach as you can see. Check it out - Canon PowerShot A1100IS 12.1 MP. Ooooh, I just looked and the price now on Amazon is $299.00. Huh? 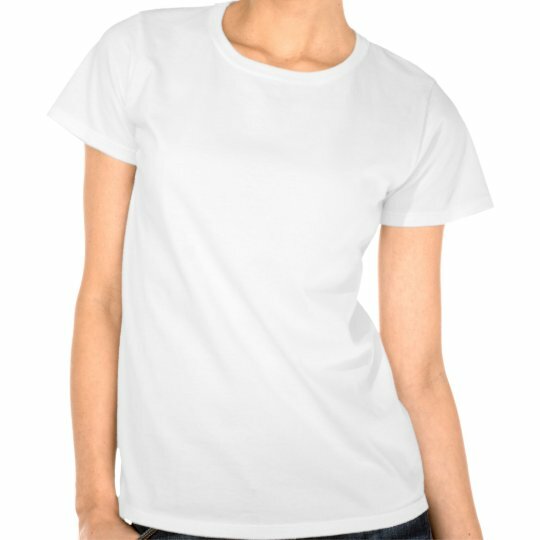 Why it costs so much now, I don't know, we got it new for about $149.00 I think. Can someone explain this price difference to me? Please??? 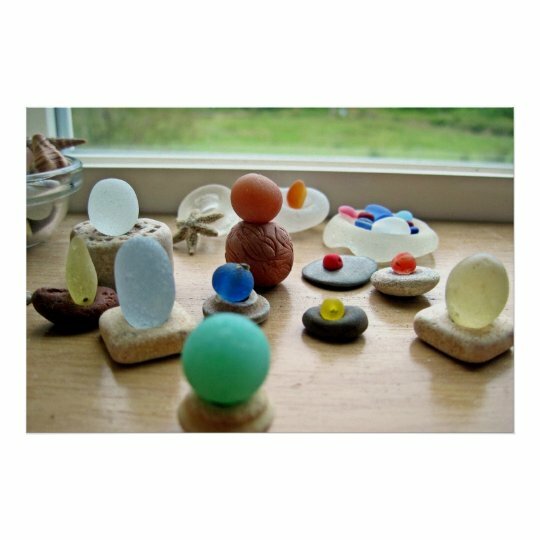 Anyway, we love the photos this camera takes and highly recommend it for on the spot sea glass beach photos. To get back to the nice beach weather - I had my shirt off for awhile and ended up with a decent sunburn - one that likely won't peel, just turn darker (I hope). We call the beach sun here the "20 minute tan, 30 minute burn." I know, it's not politically correct to get sunburned anymore. But somehow we're from that surf city era where tan looks, well, healthy. We do use lots of sunblock on areas that are always exposed, though, like face, ears, arms, etc. 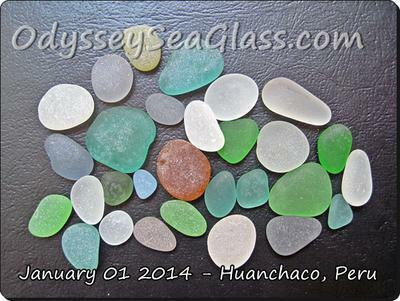 "The Quick Start Check List for Getting the Most Out of Your Sea Glass." 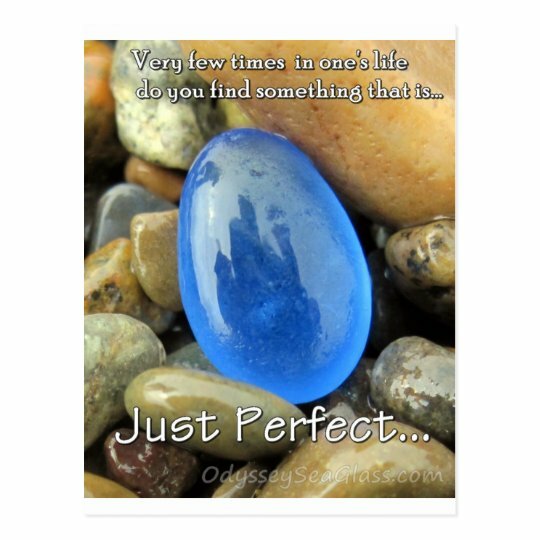 Just send us an email with 'ZAZZLE QUICK START' in the title line and include the date of your purchase to receive this ebook - Odyssey Sea Glass email. Hey, if you ever get the chance, come visit! 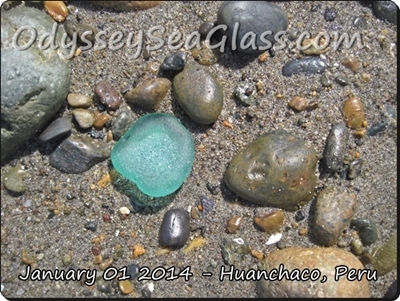 There are more beaches not far from here that we haven't checked - beaches that we KNOW have good sea glass. We could make a little adventure of exploring. Love the pics!!! Yawl are truly living "the life". I only wish I lived closer to the beach because I would be on it everyday that the weather would permit. I love yawls posts...keep it up!! HaPpY New Year!!! 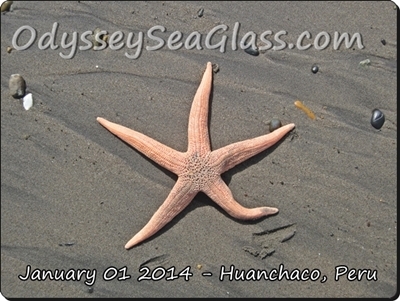 The starfish looks like it is dancing to the ocean's rhythms.